Your operating system is undoubtedly the most important bit of software you install. Operating system comes into the system software category which is needed to control the system’s hardware and help application software to work well. In fact, you cannot install any application software without having system software installed on your system. There are countless operating systems in the market but the most used OS is Windows which is paid. Along with the paid ones there are many free Operating systems available in the market. 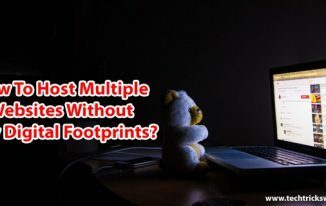 In this post I am sharing top 10 free Operating systems which all the techies might want to try out. 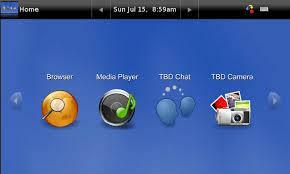 Most Linux based netbook system seem to be based on Ubantu which is an Open- source Gnome based OS. 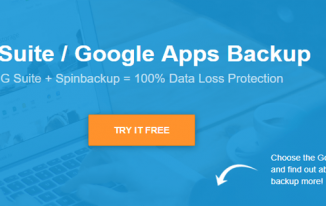 It contains all the applications you need in your computer system such as a web browser, office suite, media apps, instant messaging and much more. The desktop environment is intuitive and powerful and will make you fall in love with it. It offers Per-APP Account Toggles, Window snap animation, personal cloud, its quick upload and is compatible with range of devices. It offers 3000 downloadable apps including Steam, the world’s most popular gaming platform. 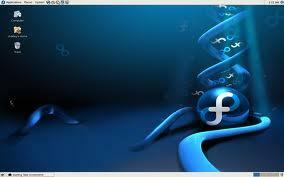 Fedora is the second most popular Linux- based operating system. It is an RPM-based system built on top of Linux Kernel, developed under Fedora Project sponsored by Red Hat. Its key features include re-builder utility, multiple driven front end, RDF search , good support for PowerPC and JMS messaging . Fedora developers prefer to make upstream changes instead of applying fixes—this ensures that their updates are available to all GNU/Linux distributions. 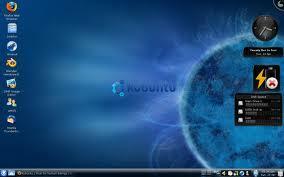 Kubuntu is an official derivative of the Ubuntu operating system using the KDE graphical environment instead of GNOME. It is part of the Ubuntu project and uses the same underlying system. The Kubuntu desktop supports full customization along with Okular- the universal document viewer which reads all the documents. Kubuntu uses Kontact to let you access your email. It contains Amarok, Kubnutu default music player having a very friendly interface. It creates professional document and spreadsheet using LibreOffice which is free. Debian is one of the most influential open source projects known as a Linux distribution. 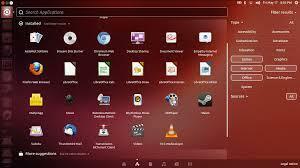 It forms the basis for Ubuntu, Linux Mint and many other desktop linux distros. Jolicloud is the best operating system for netbook having low memory. It is a Linux-based operating system built upon Debian and Ubuntu 9.10, but is tweaked to be more suitable for computers that have weaker specifications in terms of disk storage, memory and screen size. 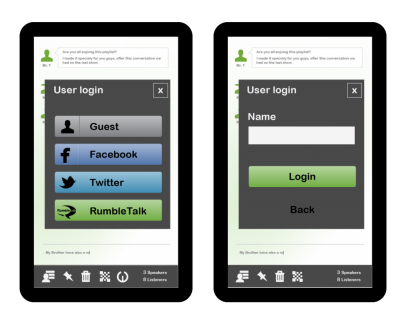 It relies heavily on Chromium- based package for running web based application. 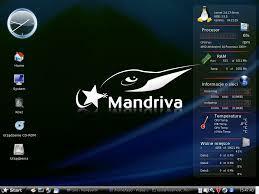 Mandriva Linux is a French Linux distribution distributed by Mandriva. It uses the RPM Package Manager. The product lifetime of Mandriva Linux release is 18 months for base updates (Linux, system software, etc.) and 12 months for desktop updates (window managers, web browsers, etc.) Server products receive full updates for at least 24 months after their release. CrunchBang is a Debian GNU/Linux based distribution offering a great blend of speed, style and substance. Using the nimble Openbox window manager, it is highly customizable and provides a modern, full-featured GNU/Linux system without sacrificing performance. It’s one of the most efficient distros which can run even on older and slower machine – a perfect choice. 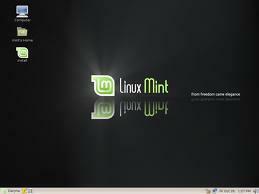 Linux Mint provides a modern, powerful and elegant operating system for your notebook. It works out of the box, with full multimedia support and easy to use. Based on Debian and Ubuntu, Mint provides about 30,000 packages and one of the best software managers with a unique Update Manager. Mint is faster than Windows and is secured by package system. Ubuntu Netbook Edition is great, but a lot of things don’t work out. MP3s, for example, can’t be played until you install the codecs. EasyPeasy aims to be simple by offering proprietary applications and codecs out of the box. You’ll be pleased to find your favorites including Skype and Picasa included by default. It’s Unique, cool looking netbook interface with very simple but slow installation process. Moblin Linux is the light-weight Linux distribution Intel developed to run on low power net books with small screens and Intel Atom processors. Maemo is the light weight Linux distribution that Nokia developed to run on its handheld internet tablets including the Nokia N900 and N810. Out of the the Linux O.S you’ve mentioned , Ubuntu and Fedora are certainly the best one’s and you’ve ranked them right . One advantage of using Linux over Windows is that ..Linux O.S comes with beautiful UI’S and 1000’s of useful software packages for free .Thanks for sharing the information. Thanks Pramod for stopping by here. You are right about Linux. I don’t know even the name of the most operating system which you’ve listed here. I have bookmark this post to read in detail, keep sharing the tech stuffs. Thanks Nirmala for reading and dropping your comment here. I only heard about Windows and linux operating systems. I don’t know even the name of the most operating system which you’ve listed here. These all are new for me. But like to try one of the OS (Kubuntu) from your list. such a long list of free operating system. I know only 3-4 free operating system. Thanks for this kind of post. And Now you know 10. Right? Keep coming to read informative posts like this. Thanks for the list ofOS but i want to know how can we learn linux basic,, could anybody give me the tutorial here ?? Linux Is open source and its that open source products are free. Indeed its a great source of information who don’t know about the Free Linux OS available at present day. Thanks for the kind info Atish !!! Thanks for reading and leaving your comment here. Thanx for sharing this informative post. Before reading this post i don’t even knew about most of the OS mentioned above. Thanks for this post Atish, in a very compact manner you have highlighted the key features of the best OS available in the market. You have made the choice of adopting a new OS very easy for me. Personally I am really impressed with UBUNTU…sure I’ll give you the feedback once I get in touch with this. Great work ! Good to know that Shakaib. Feel free to use anyone from them as they all are free. 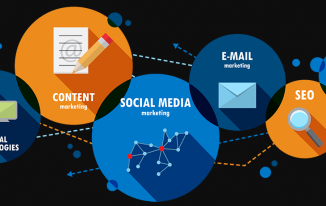 Hello Atish Ranjan Sir, Thanks for writing this useful article for us. I really didn’t know that there is so many free operating system for pc or laptop. From your article i just got it. I want to know about google android operating system for laptop. Can i install it for my Acer Aspire One A0725 netbook. Hello Shariful, Thanks for visiting my blog. I have never tried installing android on laptop. I think creating a virtual machine on your laptop then we can install android on laptops. Thanks Gautam for stopping by. Glad to know that you got something new here. Good to know that Ronaldo that you are already familiar with Mandriva linux. Hi Atish Ranjan, All of the Free Operating systems are Linux Based and it need you to be outstanding with computer skills to use it. Is there any windows base free operating system or we always need to buy it. i tried android on my laptob by installing bluesack software, it runs ok but very heavy on processor. Thanks for sharing but i have used ubuntu ,kubuntu ,fedora and i tell you that in terms of look and performance both fedora is the best i bet. Great list Atish…I didn’t know of most of these that were listed here. Will have to check them out further. Nice & useful collection of Operating System! Atish you have great mind to create this superb list but now it’s time to move & use all these operating system one by one. Hi Atish, great list of some amazing free operating systems. I have so far tried Ubuntu, Fedora and Linux Mint based on UNIX. All of them are pretty awesome, but I often feel the lack of more apps and software in all these OS, as most of the Windows apps I use aren’t directly available for Linux. Very Informative! I haven’t used all of them. But from my experiences with a few, I love Linux Mint the most. I have a laptop with Linux Mint 14 installed on it. Soon, I will upgrade it to Olivia version. I like Ubuntu, and I love Linux Mint. Why? 1 because Mint comes with cinnamon, 2 because Mint developers are sure working hard on performance (although it is derived from Ubuntu there is considerable improvement in performance between the two, perhaps because of DE, but I think there is more). Anyway, I always wanted to use Fedore but something always stopped me. I’d love to try it now though. BTW, check out Pear OS. I’m sure that it’s worth adding to the list. Thanks Chetan for adding Pear OS in the list. Keep coming. I was familiar with Unbuntu , but now i’ll love check others too..
Hello Atish, thanks for writing :-), Working with a new operating system is a great feeling its like living in any other planet, when I started working whit LINUX it was a pretty good experience, I have worked with redhat , ubuntu and fedora, and the fedora is my favorite one, both KDE and GNOME environments are very good. I always like to suggest every computer user to work with FEDORA once. Good to know that Jignesh. Yes working with different OS and environments are great. Thanks For Sharing such beautiful article.I would love to see more articles from your side. I have worked with so many OS in my life but Ubuntu is the best and easy for me and I have been using since 5 years no complains at all.